Yesterday, there was an article on Money.com by Jason Zweig, editor of the revised book, The Intelligent Investor, that I think is an excellent reading. The article, Are You a Better Investor?, has some good advises on what it means to be a better investor.Mr. Zweig started the article with some examples of what an investor will do 35 years ago in 1972: buy stocks/funds from a broker he/she actually knows, pay a 8.5% front load charge, and wait to read tomorrow’s newspaper to check the performance of the investments. An investor’s life back then was indeed very simple because there weren’t many choices anyway, and it wasn’t very convenient either. Almost every investor has access to real time quote and can trade stocks at any time during the trading day at a fraction of the cost 35 years ago. There are more than 8,000 mutual funds available and creative ETFs that slice and dice the market come out at a speed we have never experienced before. Information is overwhelming and life is no longer as simple as it used to be. But are we better off as investors now than 35 years ago? Then, as now, investors got in trouble by acting on impulse: either getting carried away by greed or being paralyzed by fear. And solutions like indexing have always seemed a little unsatisfying. You want investing to be more complex so you can feel special when you figure it out. And Wall Street wants it to be more complex so it can make more money off your attempts to figure it out. Yes, we give up simplicity to favor complicity in an attempt to stay above the average. Not just ourselves as individual investors, but fund managers as well. However, the cold reality is, as Mr. Zweig noted in the article, “year in and year out, indexing has beaten roughly three-quarters of all funds.” The changes in the investment industry in the past 35 years have presented us more convenient investment choices at low cost. However, we can only benefit when we use them wisely . Lower cost is great if you trade rarely and wisely, but not if it tempts you into buying and selling constantly. More choice is great if you add a few selected good things to your portfolio in moderation, but not if you end up with an unplanned jumble of investments. More convenience is great if you use it to make your life easier, but not if you take time away from family and friends to update your stock portfolio. So what would be the winning strategy in this complex investment world? Combine the two strategies of indexing and dollar-cost averaging and you can hold the entire planet in a single portfolio on permanent autopilot. Nothing could be simpler. First let me say that I enjoy your blog & consider it one of the best out there. My question is “Are you actually using the aforementioned advice” or “was the advice a summary of the article?” I remember that your portfolio is 100% active managed funds (as is my own portfolio). Did you change your portfolio? Side note: I find it interesting that Warren Buffett also advises using index funds but does not use them himself. A case do as I say & not as I do? Actually, I am a mixed bag in investing in mutual funds. As you noticed, I have a dozen actively managed funds in my taxable accounts, on the other hand, 6 out of 9 funds in our IRA accounts are Vanguard index funds :). The reason of using actively managed funds wasn’t really because of their performance, though that was a factor. When I started investing, I didn’t the $3,000 required by Vanguard to buy their funds. So I decided to use funds that have lower initial investments such as $2,000, $1,000, or even no initial requirement. And in 2001, 2002, there were quite some actively managed funds, especially small-cap funds, that performed better than index funds. Then as I kept adding money into those funds, it doesn’t make too much sense to start all over again with index funds. However, for IRA accounts, I started with a lump sum at the size of one year contribution limit, so I can buy Vanguard funds. Beside, I know I will hold these funds for years so it’s better to keep the cost low. For the active funds, I don’t know how long I will keep them. 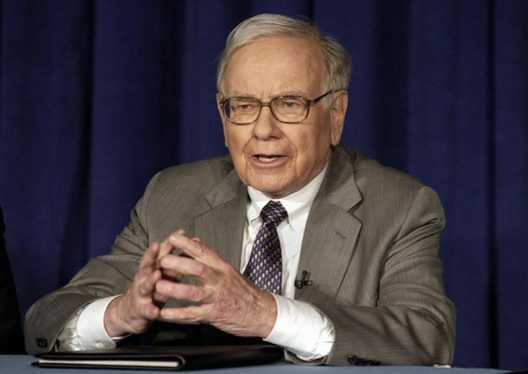 As for Buffett, his strategy actually works for individual stocks as he’s a buy-and-hold forever kind of guy, but may not for mutual funds. If I find a good stock and want to hold it for, say, 10 years, it doesn’t really make any difference if whether I pay $15 commission for a one-time purchase or zero in the long term. However, if I keep buying and selling stocks, as in Zweig’s article, because I want to chase hot stocks and get *better* return, then the costs of trading will add up and eat a chunk of my returns. For mutual funds, things are a little different because the cost of mutual funds is not a one-time fee as with buying and selling stocks. The cost is always there as long as I own the fund. So in the long term, it’s better to keep the cost low, especially when you have the choice to use low-cost funds and get similar returns. Thanks Sun. I quoted your article and sent an email to my dad about it!